Amanda Padoan, co-author of Buried in the Sky will present a slide show, read from and sign her book. 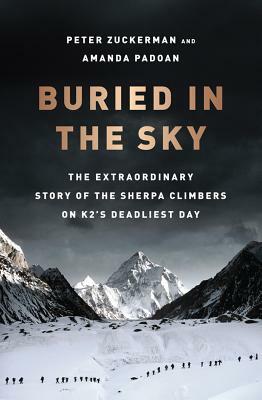 Eric Meyer and Chhiring Dorje, survivors of the disastrous 2008 K2 expedition when 11 climbers died, will appear with Padoan. Presented with and to be held at The Salt Lake City Public Library downtown, 210 East 400 South. This entry was posted on Monday, June 25th, 2012 at 9:22 am and is filed under Authors, Events. You can follow any responses to this entry through the RSS 2.0 feed. You can leave a response, or trackback from your own site.